This entry was posted in Cotswolds, Haiku. Bookmark the permalink. Ah no ~ thought of it but had to stick with the symphony theme!! Holst only finished one symphony and wrote another unfinished. I love that his music was inspired by poets and writers that I love such as Keats and Thomas hardy! he was a frail and troubled man. I adore his setting of I vow to thee my country, and would have put that in but it is not a symphony!! Lovely haiku – and again I learn something! That’s the retired teacher in me!! Can’t miss an opportunity to add a bit of information to my blogs. 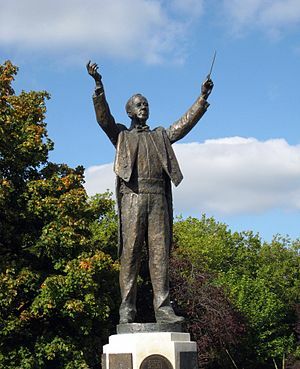 Holst was born in Cheltenham where i live and his music is inspirational. he was also a very frail and complex character which moves me. Educative for me 🙂 Thank you for sharing. That’s the retired teacher in me Leo!! Can’t miss an opportunity to add a bit of information to my blogs. Holst was born in Cheltenham where i live and his music is inspirational. he was also a very frail and complex character which moves me. Thanks for hosting haiku heights, it is great fun! Sorry that I’ve been out of commission for the last week and half from blogging while I moved. Just wanted to say I’m enjoying your haikus! Thank you Ramesh, praise indeed from such a wonderful poet as yourself.